Small works Group exhibition, Brooke Gifford,Christchurch. Forrester Public Art gallery ,Solo Layers . 1990 Wairarapa Public Art Gallery Masterton solo. Kudos Gallery solo: They Speak in Whispers. 1989 La Quete Gallery, Christchurch, solo exhibition. Dunedin Public Art gallery Annex solo: Works from Rome. 1988 New Zealand Embassy, London solo. Catherine Manchester was born in Auckland in 1957 and gained a BA in Literature at Victoria University, Wellington. She studied at the Ilam Art School from 1979 and graduated with a Diploma in Fine Arts from Dunedin Polytechnic in 1984. She has been exhibiting successfully since 1986 and her work is held in private and public collections throughout New Zealand. In 1986 Manchester was a recipient of a Creative New Zealand Grant and the following year she was awarded the Rita Angus Residency. She currently resides in Wellington. Her diverse and extensive education is reflected in the many influences that invest her art. Her work is both expressionist and abstract, avant garde and classical; with the deliberate brushwork of Rembrandt and the stylistic intensity of Francis Bacon. 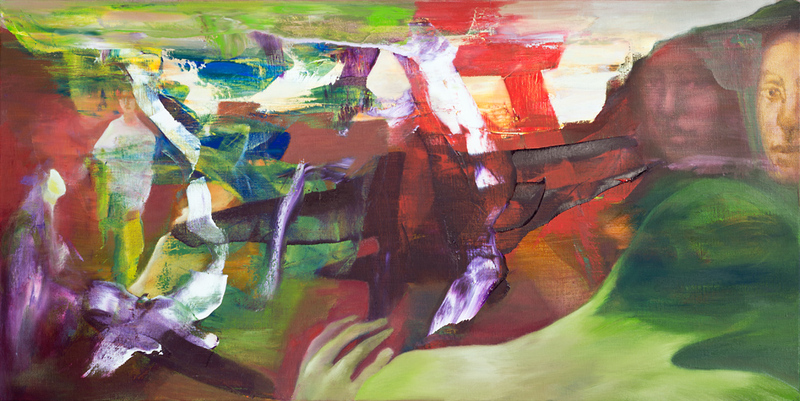 Her paintings have strong gestural qualities but also the constructed elements of formal abstraction. The technique of building up the layers of paint then rubbing back is a deliberate method of treatment that adds resonance to the rhythm of the free brush work. The technique of layering the paint is echoed in the multi-layered meaning that can be read in her works. 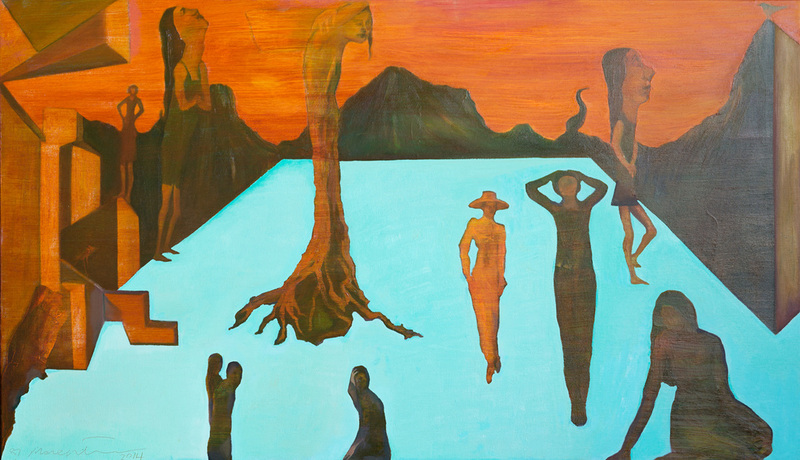 The figurative works speak to the viewer about fluidity and rhythm but also contain a brooding intensity, beneath which are undercurrents of mysticism, symbolism and spirituality. Private collections NZ, Australia, England, America.